VoluDerm™ uses micro-needling technology to trigger the body’s natural healing response mechanism which stimulates the production of hyaluronic acid, new collagen, and elastin. Plus, Voluderm uses radio frequency lasers to heat the skin’s surface to reduce wrinkles around the eyes, cheeks, mouth, neck, and forehead. In combination, Voluderm and TriPollar give the skin a more youthful appearance. The LEGEND+™ Voluderm and Tripollar can effectively reduce wrinkles, fat and result in tighter skin without these negative side effects. 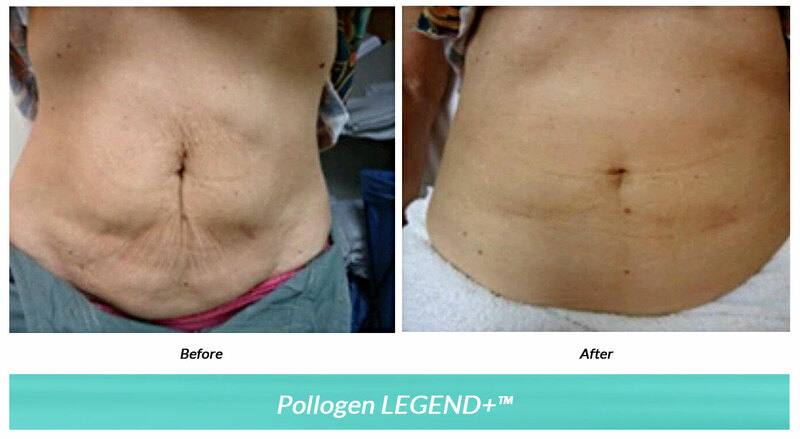 The LEGEND+™ also has the additional advantage of reducing cellulite and can treat any area of the body.